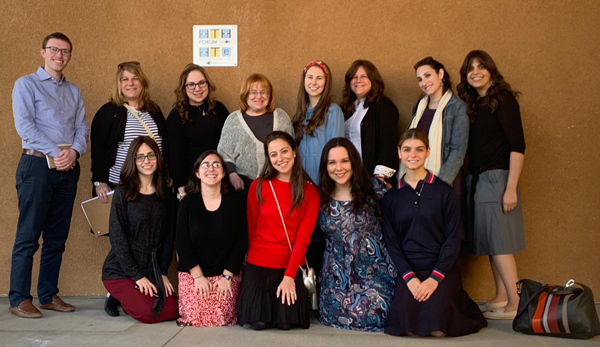 From January 7-10, students from the Azrieli Graduate School of Education and Administration’s PELE program embarked on a three-day trip to California to learn more about progressive schooling models and about Jewish educational opportunities and experiences across the country. PELE (Progressive Educational Laboratory Experience) is a one-year fully funded program that leads to a master’s degree in Constructivist Approaches to Jewish Education. This exclusive fellowship, a collaboration between Azrieli and the Kohelet Foundation, accepts up to 10 students annually. 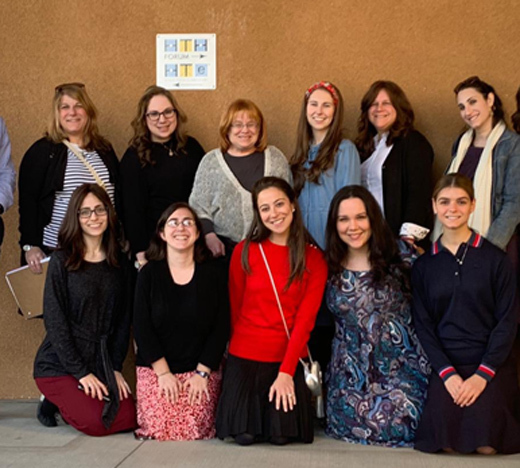 In addition to coursework and student teaching, the PELE full-time program includes a variety of rich educational experiences that prepare Jewish educators to be student-centered educational innovators, including monthly visits to progressive schools across the country. Dr. Laya Salomon, associate professor at Azrieli and director of PELE, organized the trip with Suzanne Brooks, Azrieli doctoral fellow and field experiences coordinator for PELE, and Aviva Wasser, Azrieli doctoral fellow and student teaching coordinator for PELE. The 10 PELE Fellows for the 2018-2019 academic year who went on the trip are Dovi Levinson, Micky Kopelowitz, Shira Herbert-Lisker, Marjorie Rasinovsky, Mushka Gopin, Arianne Pinchot, Dina Kritz, Rachel Kluger, Kelley Nitzani and Dassi Katzenstein. On the first evening of the trip, the PELE participants ate dinner at the home of Mr. and Mrs. Jeremy and Hilda Cohen, active members in San Diego’s Orthodox Jewish community. Joining them for dinner were other important stakeholders—administrators, funders and board members—in San Diego’s Orthodox Jewish day schools and high schools. Conversations over dinner centered around educators’ opportunities and experiences in small Jewish communities and the educational needs of smaller Jewish communities as well as broader conversations about visions for progressive models in Jewish education. For more information on the PELE Fellowship or to apply, please click here or call the Azrieli office at 212-960-0186.